Pauline Marie Stone, 62, of Serento, died June 16 at 9:55 a.m. at Utlaut Memorial Hospital. Funeral services will be held Wednesday at 11 a.m. at the May Funeral Home in Pocahontas with the Rev. Tom Hoffmann officiating. Interment will be in Robinson Cemetery, Pocahontas. Visitation is today (Tuesday) from 6 to 8 p.m. at the funeral home. 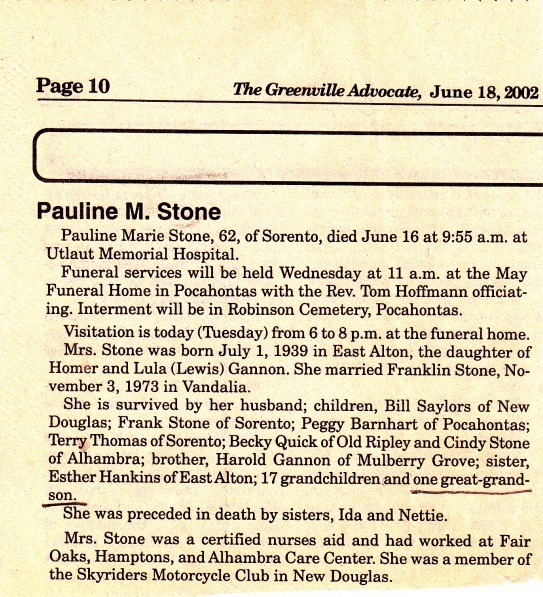 Mrs. Stone was born July 1, 1939 in East Alton, the daughter of Homer and Lula (Lewis) Gannon. She married Franklin Stone, November 3, 1973 in Vandalia. 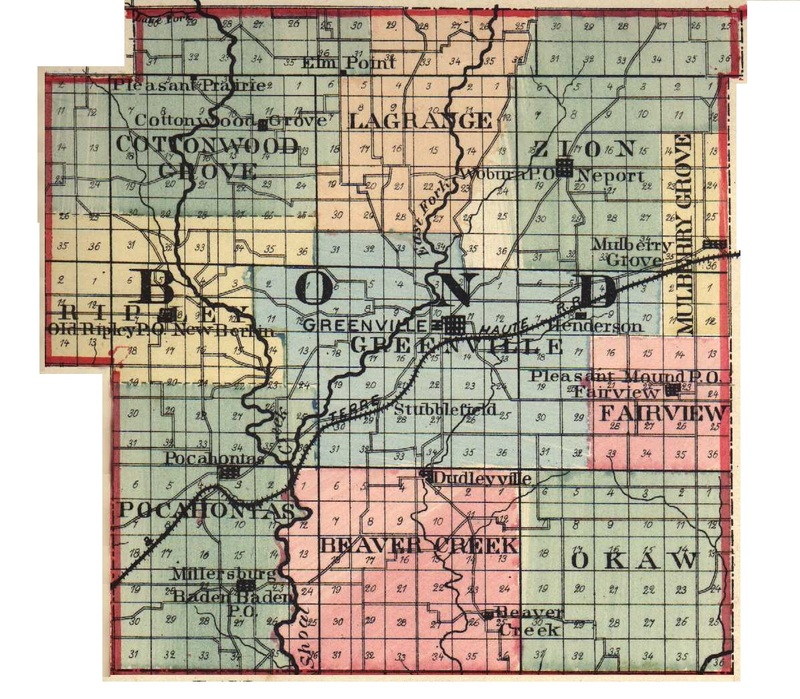 She is survived by her husband; children, Bill Saylors of New Douglas; Frank Stone of Sorento; Peggy Barnhart of Pocahontas; Terry Thomas of Sorento; Becky Quick of Old Ripley and Cindy Stone of Alhambra; brother, Harold Gannon of Mulberry Grove; sister, Esther Hankins of East Alton; 17 grandchildren and one great-grandson. She was preceded in death by Sisters, Ida and Nettie. Mrs. Stone was a certified nurses aid and had worked at Fair Oaks, Hamptons, and Alhambra Care Center. She was a member of the Skyriders Motorcycle Club in New Douglas.